JERUSALEM (CNS) — As the new United States embassy was inaugurated in Jerusalem May 14, violence broke out between Palestinian protesters and Israeli soldiers. International media reported that in Gaza, at least 52 people were killed, including five under the age of 18, and some 2,000 were injured. The death toll was expected to rise. Palestinians claim Jerusalem as their capital and now feel that the U.S. cannot be a fair broker in the peace process with Israel. 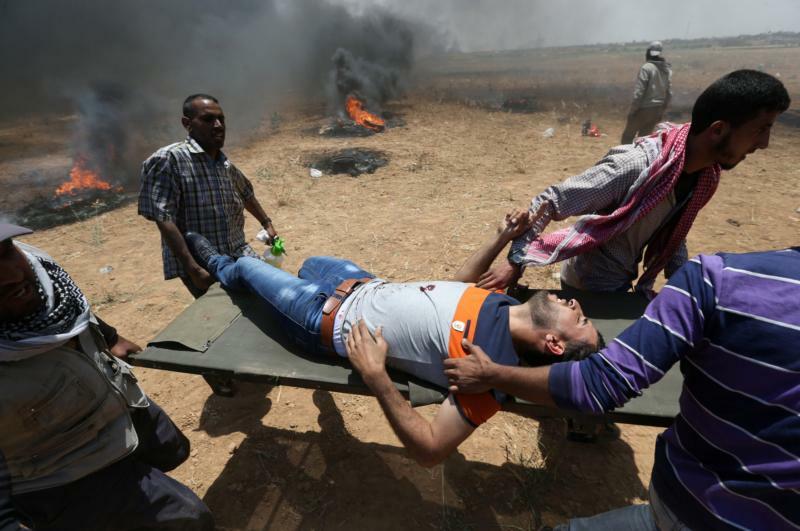 Israel accuses many of the protesters of being members of Hamas and of using Palestinians as pawns in the violent protests along the Gaza border, which began March 30. The Israeli Defense Forces has said that numerous protesters have been caught trying to break through the border fence that imprisons them, and fire-lit kites sent by Palestinians across the border have caused millions of dollars of damage to crops when they have landed on Israeli farmland. At St. Joseph Parish in Jifna, West Bank, May 14, Father Firas Aridah tolled bells at noon to mourn those injured and killed in clashes, to mark the commemoration of the day Palestinians call al-Naqba — their catastrophe — and to lament the opening of the U.S. embassy in Jerusalem. On May 14, 1948, Israel declared its independence; Palestinians commemorate that 250,000-300,000 Arabs living in the British mandate of Palestine were forced off their lands and homes at the time. The priest said although parishes in the Holy Land tell their parishioners to resist occupation by educating themselves and preparing for the future, people in Gaza see no future. He said he can stress to his school’s Christian and Muslim students that throwing stones is not worth dying for, but people in Gaza are desperate. On May 15 Palestinians will mark a moment of silence in commemoration of the Naqba, much like the Israelis did a month early on the Hebrew anniversary of Israeli independence. Father Aridah said he would light candles with his parishioners following 6 p.m. Mass May 15 and have a silent march to the center of the village. He expects the demonstrations, including throughout the West Bank, to continue for some time. In a statement released May 14, Pax Christi International said it recognized the 70th anniversary of two historic events this year: the 70th anniversary of the creation of the State of Israel and the Naqba.